With blueberries in abundance at this time of year, there are so many wonderful recipes to try. 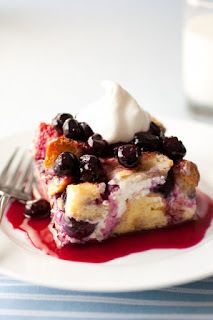 The Overnight Blueberry French Toast would make a great Sunday morning breakfast and I know the family will love it!!! For the complete recipe, visit with Jaclyn of Cooking Classy by clicking on the photo above.